Choose the best with Duracell AA alkaline batteries and Duracell Coppertop batteries from Medic Batteries. Duracell Procell vs. Duracell Coppertop Alkaline Batteries—What’s the difference? Let’s set the record straight: Duracell Coppertop alkaline batteries are the trusted brand when it comes to powering consumer and home products. Duracell Procell alkaline batteries have the added power professionals need in the most crucial moments. Both Duracell Procell and Coppertop alkaline batteries are made with the same long-lasting, dependable technology Duracell customers have come to expect. Duracell AA alkaline batteries offer dependable, long-lasting power every time! Both Duracell Procell and Duracell Coppertop batteries are the most trusted brand among families and doctors, which continues to grow Duracell’s reputation for excellence with every product manufactured. Consumers rely on Duracell Coppertop alkaline batteries, which are designed to deliver the right level of power for most consumer needs. Similar to the Duracell Coppertop 9v and Duracell AA alkaline batteries, the Duracell Procell batteries offer reliability for professionals with industrial and professional devices. Why? Because their unique formulas, making Coppertop batteries chemically different than Procell batteries, has been optimized with the device and user type in mind. Both Duracell Procell and Duracell Coppertop alkaline batteries are specifically manufactured for outstanding performance and reliability with up to a five-year freshness guarantee. Duracell Coppertop batteries deliver strong performance when needed, whether for devices at home or at work. Brand is mostly marketed to professionals and industrial users. Brand marketed to consumers, through retail outlets. Economical bulk packaging. Mostly sold in volume quantities. Easy to open & close packaging – quick and easy access for the bulk battery user. No cumbersome blister packs – no wasted space, no plastic, no cellophane. Typically sold in stores in small blister packs. Some can be purchased in bulk—Medic Batteries offers 9V Duracell Coppertop alkaline batteries in bulk packaging. Coppertop Alkaline Batteries sold in retail stores are not as easy to access due to blister packaging. Longer lasting. Slightly higher charge (e.g., 9V battery is charged to 9.5V or higher). Much fresher batteries. Batteries do not sit on store shelves for an unknown period of time. Charged as described in package. Duracell Coppertop alkaline batteries purchased at the store may not be as fresh as they may sit on the shelf for an unknown period of time. Harder to find because it’s only distributed to professionals for industrial use. Can be purchased at any store. Lower cost due to bulk packaging. Medic Batteries offers 9V Duracell Coppertop Alkaline batteries at a lower cost due to bulk packaging. Preferred choice of professionals – sound technicians, broadcasters, hospitals, police and fire departments nationwide. Fits virtually any device – toys, clocks and radios, remote controls, smoke alarms, flashlights, etc. 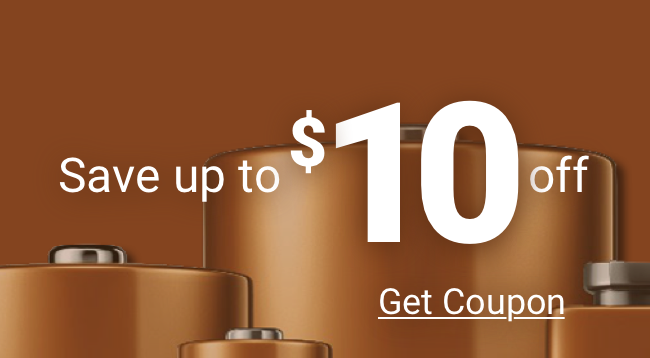 You will consistently find low prices on Duracell Coppertop alkaline and Duracell Procell batteries at Medicbatteries.com. Order online or call us today for your Duracell Procell and Duracell Coppertop alkaline batteries.